Convert to energy efficient lighting today and start saving! Everyday more homes and businesses are enjoying the savings and relief knowing that changing to efficient energy saving LED light bulbs can drastically improve the carbon footprint on our environment and save you money! Not only do these bulbs save you money, they will emit cleaner light that will also reduce the risk of fire and other safety hazards giving you peace of mind. LED lights are about 30% more energy efficient than CFLs, another form of energy saving lighting, however the main advantage of LED lights over CFLs is lifespan. 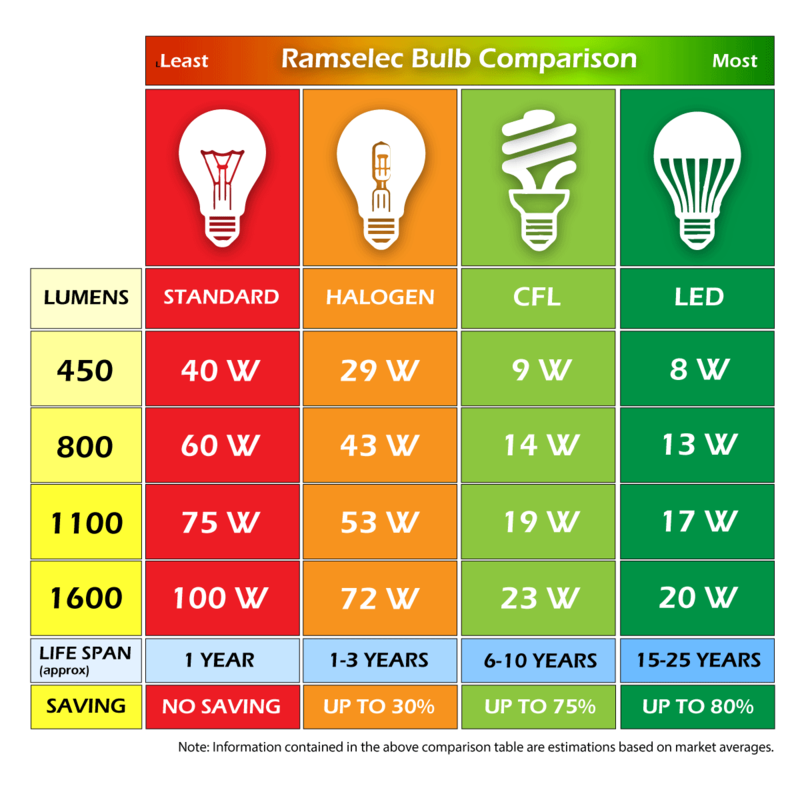 CFLs are estimated to last between 8,000 - 15,000 hours, while LED lights are estimated to last between 30,000 - 50,000 hours (depending on the product). Either way the savings are guaranteed.